Performance-based logistics and Power-by-the-Hour contracts bring great opportunity to commercial and military aircraft operators. 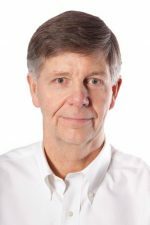 In this industry expert Q&A, Graham Grose, Vice President and Industry Director at IFS, talks about aviation’s increased interest in performance-based logistics (PBL) and Power-by-the-Hour contracts. Graham is responsible for supporting all IFS business development within the aviation and defense industry, together with associated industry marketing and overall product direction. Graham has specialized in the supply of Logistics IS tools in a variety of senior appointments within Sema, BAeSEMA, BAe, BAE Systems and IFS, since leaving the RAF in 1991 where he was a Supply Officer serving in a variety of operational and IS appointments. Graham is a supply chain specialist and business analyst and is also a Fellow of the Institute of Management Accountants, a Member of the Chartered Institute of Purchasing and Supply and a Chartered Director. Why are companies increasingly more interested in performance-based logistics and power-by-the-hour contracts? Answer: Service providers and aviation OEMs alike are increasingly interested in expanding their offerings in the in-service-support space as aviation asset lifecycle sustainment costs drive a revenue opportunity much greater than the initial asset procurement. This opportunity is greater than ever as both commercial and military aircraft operators are focusing their efforts on their core business of flying aircraft and looking to control their maintenance budgets by delegating the responsibility and risk to maintain the availability and airworthiness of their fleets to very willing third parties. How can performance-based logistics help? Answer: PBL is a contract construct born out of the aviation defense sector that holds the service provider accountable not for a series of activities to perform on an aircraft or asset but more directly targeted to the key performance indicators (KPIs) that the operator is looking to optimize for their fleet including aircraft availability and capability. As such, a PBL provider, often also referred to as a Contractor Logistics Support (CLS) provider, goes far beyond reducing maintenance and service cost lines and becomes a partner in delivering aircraft flying time. A PBL provider may be able to deliver the same or greater asset availability to their customer with a smaller fleet by utilizing their opportunity to optimize the lifecycle support processes. One such aviation example is in supporting the US Navy F414 engines with IFS A&D industry PBL solutions. This has delivered over $100 million in direct annual savings to the Navy Fleet Flying Hour Program in support of over 1,200 engines, delivering availability levels of over 95% and reducing engine visit turnaround times by 50%. Why is enterprise software important and what should companies look for when selecting a solution? Answer: PBL providers have both greater responsibility and a greater span of control than ever to deliver their services, and critically, aircraft and assets ready to fly. To drive profitability and success as their customers increasingly expect and demand year-over-year savings, coupled with higher and higher service levels from increasingly complex equipment, PBL providers need to seize the opportunity to optimize their organization and their processes to deliver these targets. Any performance-based contracting arrangement (civil or military) demands an enterprise view of performance, cost and effectiveness that are not provided by business intelligence (BI) tools offering point-solution insights. Enterprise software solutions are key to providing the necessary 360-degree view and control to drive the highest levels of operational effectiveness across a multi-processes, multi-agency maintenance and logistics support business. A complex enterprise can transform into a more efficient model and continually evolve with the use of an appropriate enterprise operational intelligence (EOI) solution. Is there a successful use-case you can share? Answer: Executive Jet Management, a wholly owned subsidiary of NetJets Inc., is a leading provider of worldwide jet charter and aircraft management services. Executive Jet Management manages aircraft in nearly 60 locations throughout the United States to meet the growing demand for jet charter services. The organization has addressed their complex logistics and services support challenges by using IFS Maintenix, a best of breed maintenance solution, to optimize their processes in managing a diverse fleet of aircraft across a complex network, transforming and continually improving their business in order to recognize significant improvements including a 67% improvement in fleet planning performance. 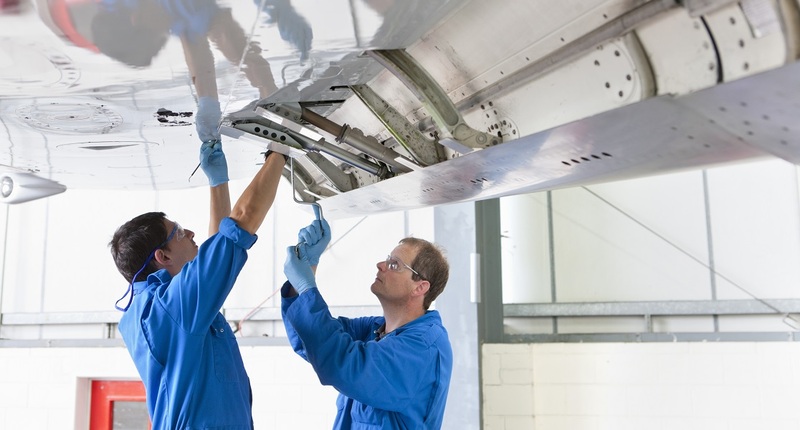 Answer: IFS’s aviation and defense solutions enable business transformation opportunities within maintenance, repair and overhaul (MRO) and PBL organizations. IFS provides unrivaled insight and control throughout the aviation MRO landscape, from multi-horizon fleet and asset planning, integrated parts demand management, to resource management and mobile work capture solutions. Let us help you identify and address your highest value process improvement opportunities in support of continual performance enhancement and cost reductions demanded by your customers. For more expert-to-expert advice and insight, download the Commercial Aviation: Servitization and Power-by-the-Hour eBook. Do you have questions or comments about performance-based logistics or Power-by-the-Hour contracts?